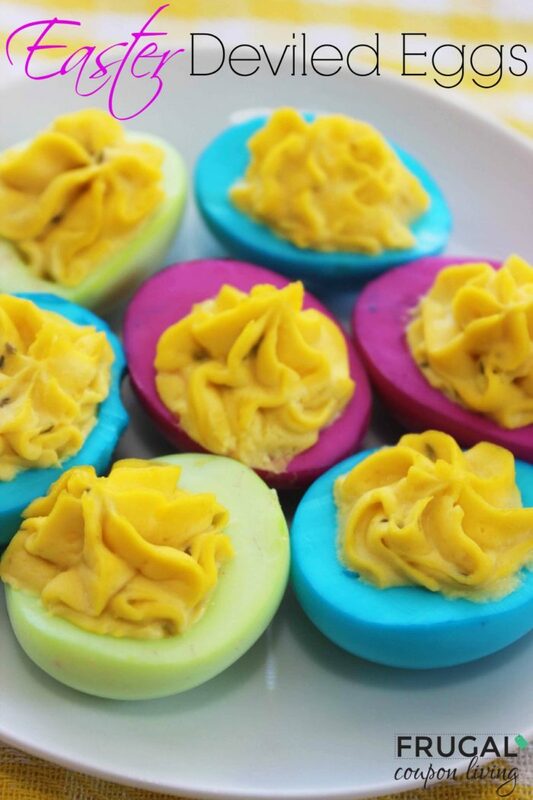 Dye the egg white, not the egg shell to create these Neon Deviled Eggs. 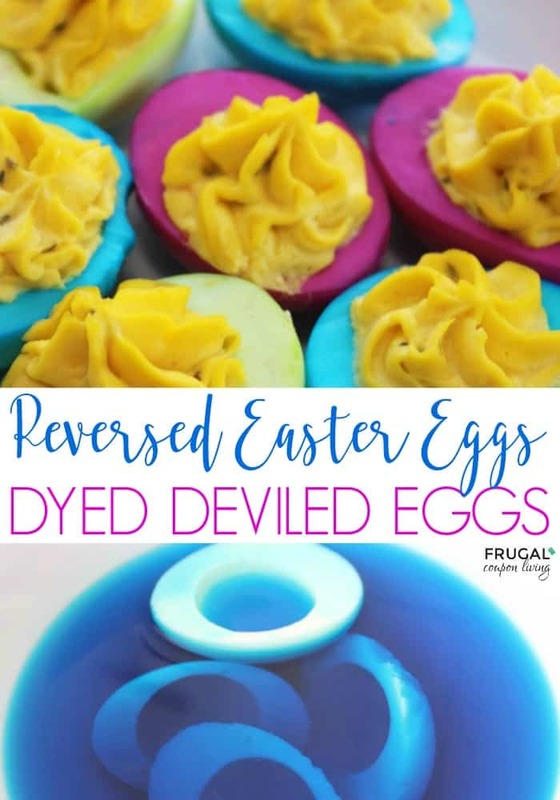 This Easter egg dyeing technique creates a fun recipe outside your typical egg dye tutorial. Ready for Spring? 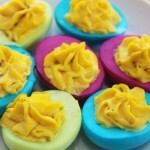 Consider this fun Kid’s Food Craft, and easy Easter Neon Deviled Eggs Tutorial. Go ahead and boil your eggs, then instead of coloring the shell, peel them and color the egg white – this fun recipe is another way to “color” hard boiled eggs! Go outside the box (or carton) with these other creative Easter Egg Dying Ideas. First, place eggs in a pan and cover with cold water. Bring your water to a boil, cover and turn off heat. Allow to eggs to sit for 9 minutes. Fill your bowl cold water to stop cooking. Slowly and carefully remove your shells. Next, slice eggs in half lengthwise. Fill another bowl with 1 cup cold water and 6 drops of food coloring. Divide cooked egg white halves evenly between the different colors – we did blue, green and pink. Next, place Colored egg whites on paper towels to dry. Move over to your yolks. Mash yolks with a fork and stir in mayonnaise, pickle relish, and mustard. Also enjoy these Easter Food Craft Ideas for the Kids. Pin to Pinterest. Oh my goodness these look gorgeous! Who needs the hassle of trying to colour the egg shells when you can have these beautiful coloured eggs – and you can eat them too! 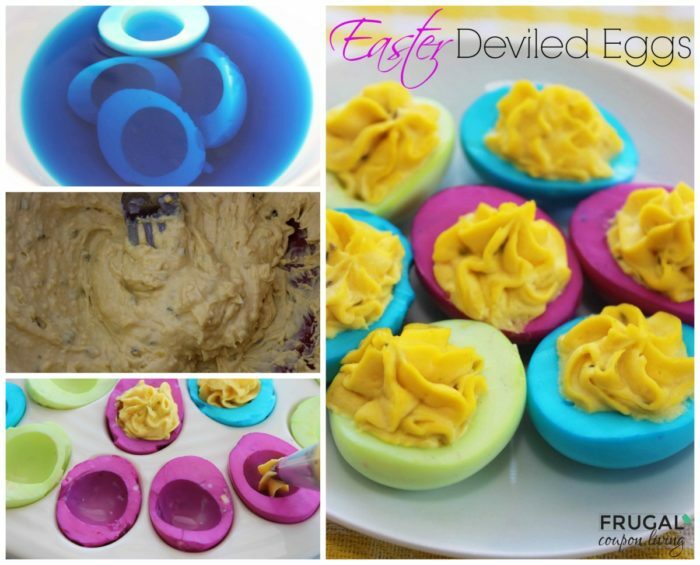 We love deviled eggs these look so good! Hope you are having a great weekend and thanks so much for sharing your post with Full Plate Thursday.